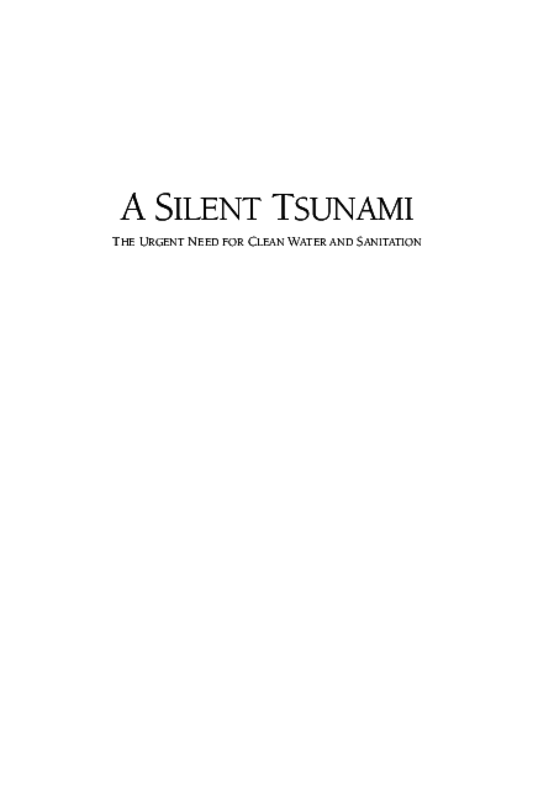 This report notes that "for lack of clean water and sanitation, as many poor people are dying each month as perished during the Southeast Asian tsunami." Based on a 2005 dialogue sponsored by the Aspen Institute's Program on Energy, the Environment, and the Economy and the Nicholas Institute for Environmental Policy Solutions at Duke University, this report provides a series of recommendations on this challenge for governments, businesses, and other organizations. The intended audience of the report are the policy-makers in Congress and the Executive Branch. Copyright 2005 by The Aspen Institute.